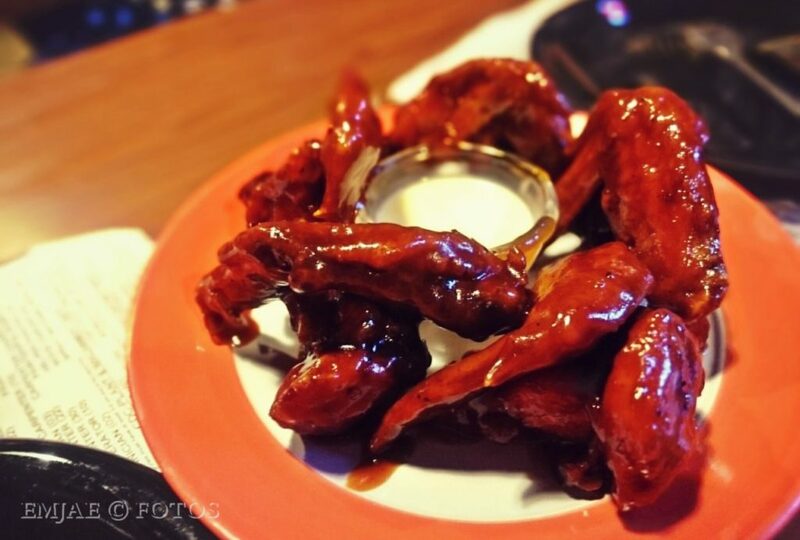 Do you love chicken wings? How about the hot stuff? 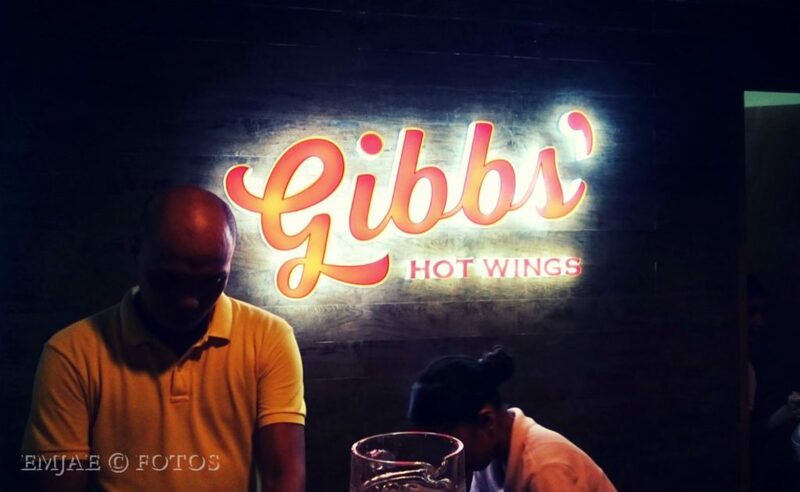 Put them together and you’ll find the best in town at Gibbs’ Hot Wings. 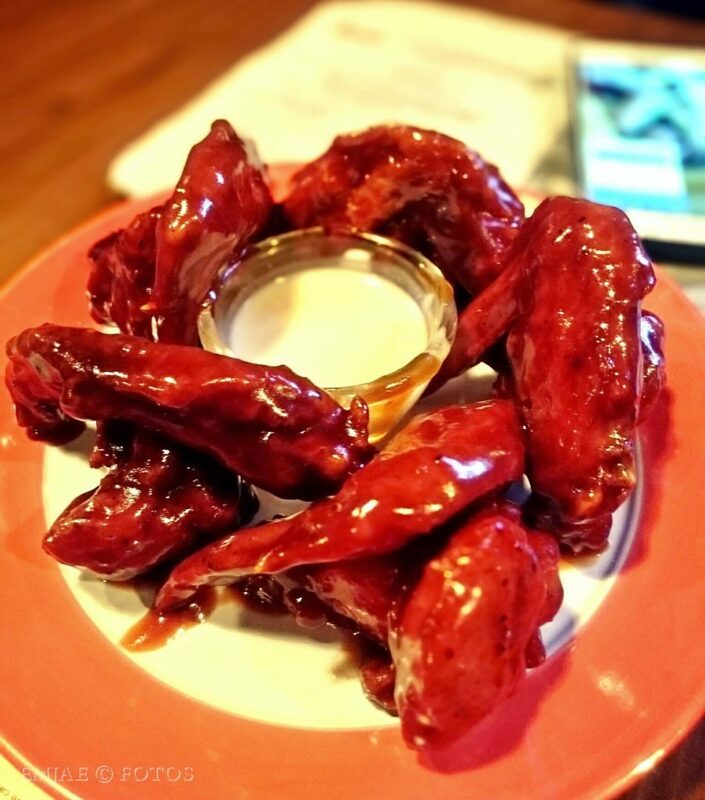 I’ve been getting feeds about this new food spot and by the looks of their hot wings, it’s simply mouthwatering. Time to satisfy my craving for this spicy and appetizing dish. 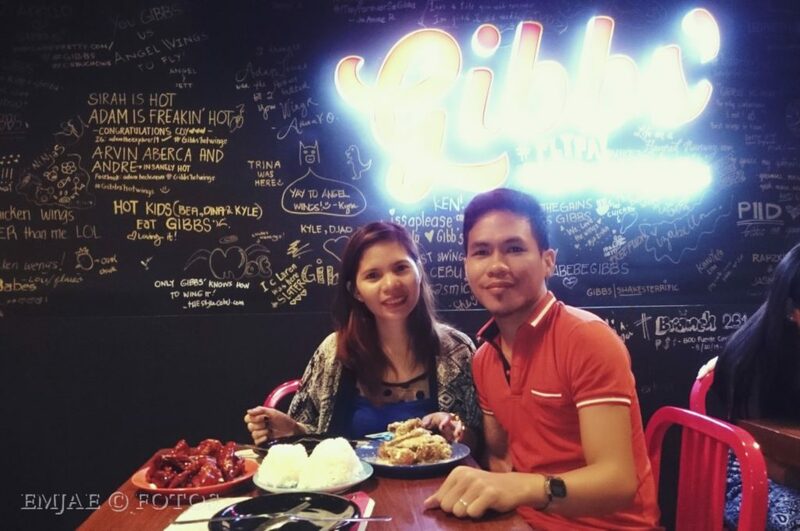 Gibbs’ Hot Wings main branch operated in Holy Family Village 2 in Banilad but now they have a new branch in Streetscape Lifestyle Mall. It is still on soft opening when we checked it out and they serve during lunch and dinner time. We, together with Jane, visited the place on a weekend and guess what, it was jam-packed. We were 3rd on the waitlist but we will not pass on this. Their spot is not that spacious but they have extended their tables outside to accommodate more customers. I guess they have been getting a lot positive reviews from the look of it. 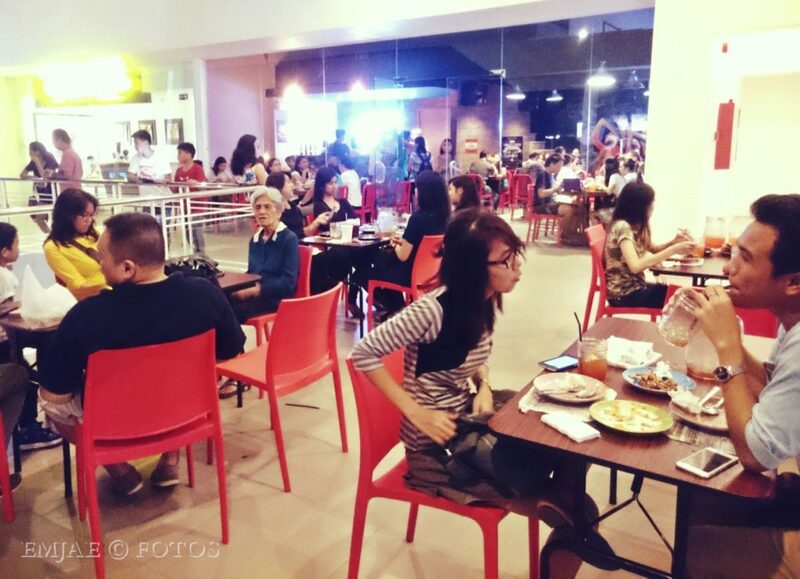 Customers pack the place on weekends. And after waiting half an hour with a grumbling stomach, it was our turn. 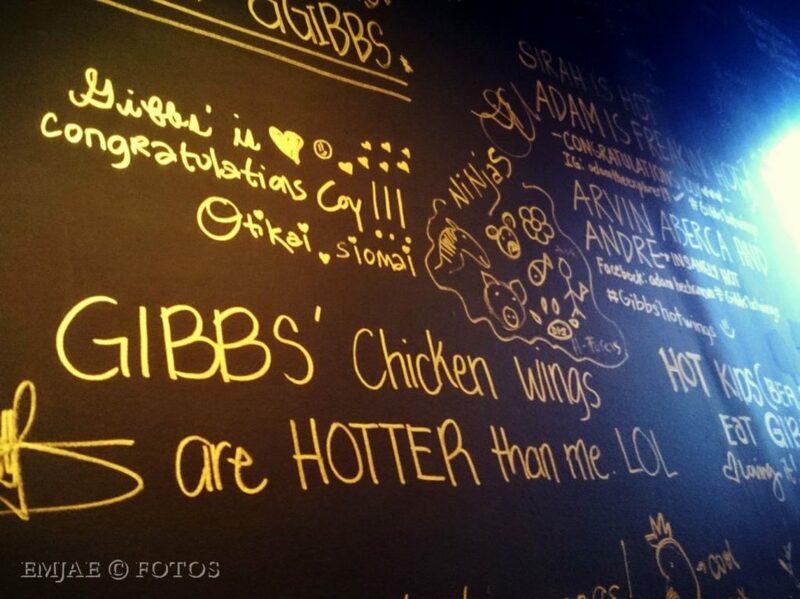 Gibbs’ Hot Wings offer 5 level of hotness namely Hot, Original, Insanely Hot, 2 Intense, and Freakin’ Hot. 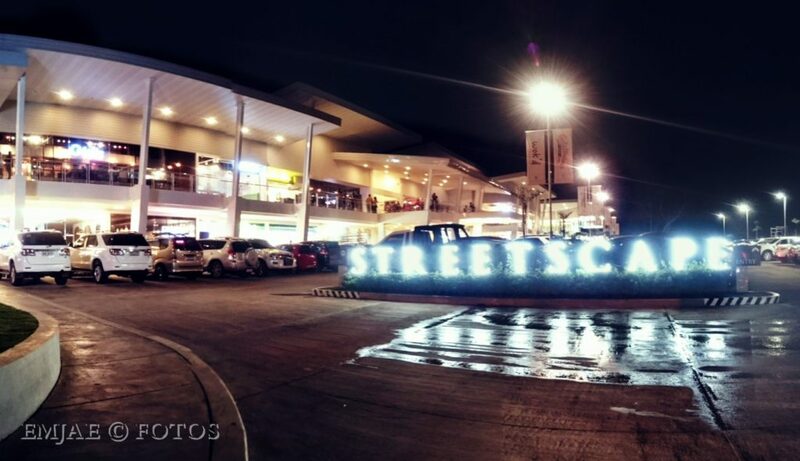 The price also vary with the levels from Php175 – Php205. For starters, we got the Original one and ordered another non-spicy dish. Then we waited another 15-20 minutes. Doodles on the wall make up their interior design. 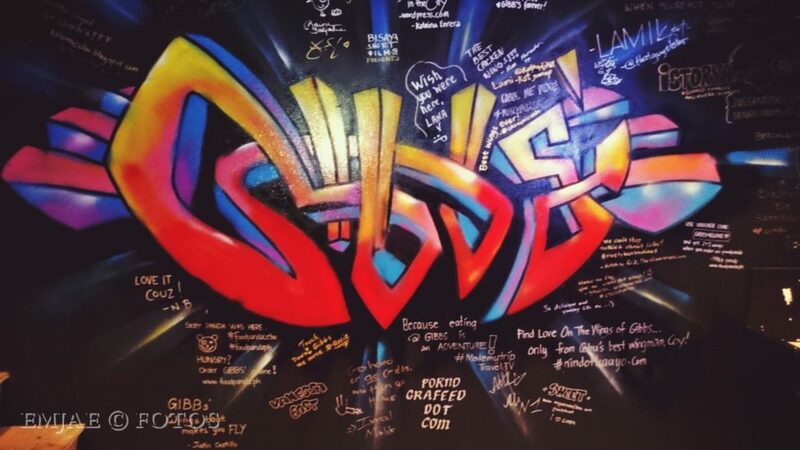 A graffiti on the wall added hip to the place. Finally the moment of truth has arrived. We are both hot wings lover and we drooled when it was right before our eyes. I believe it’s best devoured with bare hands so don’t forget to wash those little fingers. 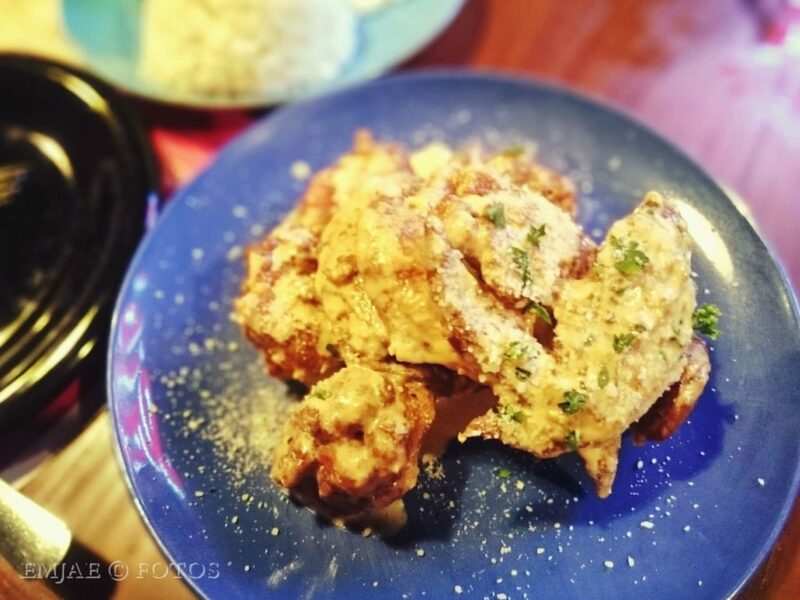 We also had the Angel’s Wings which is prepped with Parmesan cheese, carbonara sauce and a bit of mushroom flavor. 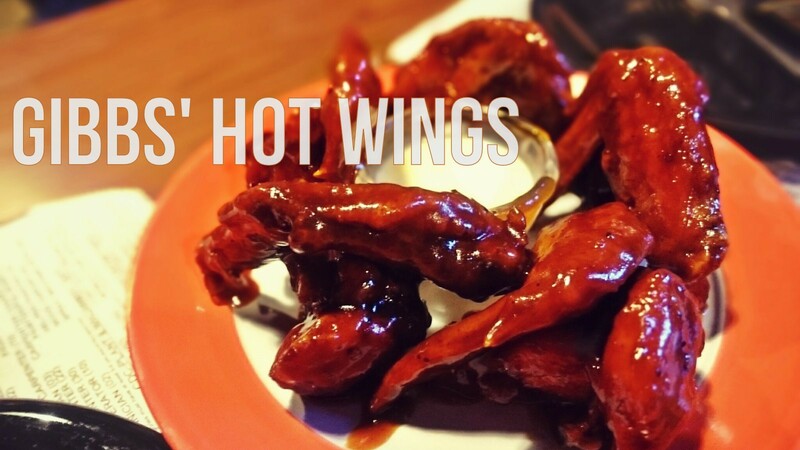 It is a perfect contrast to the barbecue taste of the hot wings and complements your appetite. It was worth the wait. 1..2..3… ATTACK! They also offer Spag n’ meatballs, Bacon Mushroom Carbonara, Potato Wedges and Gibbs Mozarella Sticks that are worth the try as well. They are available at Food Panda and you can check out their Facebook page for updates . I can’t wait to visit this place. I need to go out more and explore more restos. Thank you Emjae for this post.